Sinulog Festival 2013 had just began on it's great festivities with millions of devotees of Senior Santo Niño expected to flock at Queen City of the South. Connections with the grand festival happenings now possible through the effort of Smart and Sun Star Cebu with the use of LTE. Millions of Filipinos all over the world will be able to virtually join those who will flock Cebu City for the Sinulog festival, to pay homage to the Child Jesus amid song, dance, and religious fervor. They will be able to do this in real time and via the Internet, through LTE, the fastest wireless service of telco leader Smart Communications, Inc. (Smart). In cooperation with SunStar Network Online (Sunnex), Smart will be providing connectivity to the live video streaming of the festivities. Using Smart LTE, the country’s first and only commercial LTE service, Sunnex will deliver live, high-resolution images and high-definition videos, allowing anyone with Internet access anywhere in the world to join the celebration by going to http://cebu.sunstar.com.ph/sinulog. “We are glad to provide connectivity to help promote the grandeur of Sinulog to a global audience, especially to our kababayans abroad who surely miss participating in this uniquely Filipino tradition,” said Emmanuel C. Lorenzana, Executive Vice President and head of Smart’s Wireless Consumer Division. Those in the city who will not be able to personally join the event can also proceed to the Jump Experience Center in SM City Cebu, where big plasma screens will show the SunStar Network Online LTE-powered live-streaming of the Sinulog highlights. Dubbed the fastest wireless technology in the world today, LTE is a telecommunication standard capable of extremely high-speed data transfers, and is several times faster than present-day 3G and HSPA+ speeds. 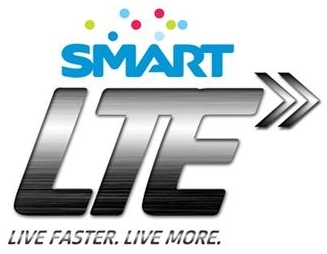 The Philippines’ first and most experienced LTE operator, Smart unveiled its LTE network in Cebu at last year’s Sinulog, offering high-speed data services of up to 42Mbps on dongles and pocket WiFis. A few months later, Cebu also played host as the wireless leader successfully made the Philippines’ first LTE voice call and SMS on its super-charged mobile network from the Smart premises in Mabolo in the city. Aside from the use of Smart LTE to live-stream the Sinulog festivities, the telco has also organized many events to make the Sinulog experience better and a lot more fun for all attendees. Smart Prepaid ambassadors Phil and James Younghusband are in the city to meet and greet Smart subscribers. Smart is also holding a variety of parties and concerts at the Fuente Osmena Circle and at popular bars all throughout Sinulog weekend. Smart ‘Switch Madness’ is also ongoing at SM Cebu, and festival-goers can get all the latest and most advanced handsets bundled with postpaid plans. Talk ‘N Text is also celebrating its huge Anibersaya event for the first time during Sinulog. Aside from Sinulog in Cebu City, Smart is also beefing up its support for local tourism and development in other areas in the Visayas, through its partnerships with the organizers of Ati-atihan in Kalibo, Aklan and Dinagyang in Iloilo – both of which will also be held this January. “The year has just started and there are many more festivals that Filipinos and tourists can look forward to,” Lorenzana said. “We will be present in all of them with more ground-breaking initiatives, and we will do what we can to make them more relevant and more enjoyable for Filipinos both here and abroad,” he ended.